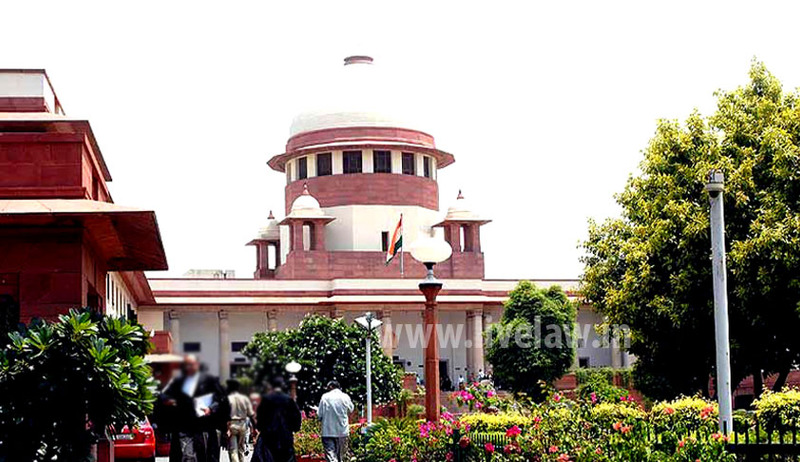 A three judge Bench of the Supreme Court clarified the legal position that where a vehicle was subject of an agreement of hypothecation and the person who was in possession and control of the vehicle without the requisite insurance, he alone was liable and not the financier to pay the claim in the event of an accident. The Court said that the intention of the legislature is clear that a registered owner of a vehicle should not be held liable if the vehicle is not in his possession and control. In the present case, the appellant bank had financed the owner for purchase of the vehicle and the owner had entered into a hypothecation agreement with the bank. The borrower had the initial obligation to insure the vehicle, but without insurance he plied the vehicle on the road and an accident took place. Without the insurance he plied the vehicle in violation of the statutory provision contained in Section 146 of the 1988 Motor Vehicles Act and hence he alone is liable and not the financier. The relevant facts of the case are that the scooter of the claimant was hit by the motorcycle belonging to Respondent No. 2 which was being driven by Respondent No. 3. The claimant suffered several injuries and underwent treatment for the same. She filed a claim in the Motor vehicles Tribunal for Rs.4,50,000/-. The tribunal awarded a sum of Rs.1,75,000/ with 6% interest and opined that all the non-applicants to the claim petition were jointly and severally liable to pay the compensation amount. The argument of the appellant bank was that it had only advanced a loan and the hypothecation agreement was executed on 1.11.2002 by it. As per the terms of the agreement, the owner of the vehicle was responsible to insure the vehicle at his own costs. When the accident took place the motorcycle was not insured. It was insured only later. Therefore the tribunal scrutinized clauses 16 and 17 of the loan agreement which placed responsibility on the bank to get the vehicle insured if the borrower failed to or neglected to get the vehicle insured. Hence it stated that the financer had a duty to see that the borrower does not neglect to get the vehicle insured and on this basis the tribunal held the financer liable along with the owner both jointly and severally. In appeal, it was contended that the financer could not have been fastened with the liability to pay the compensation. The High Court referred to the definition clause in Section 2 (30) of the Motor Vehicles Act, 1988 and took note of the same above clauses and held that if the owner neglects to get the vehicle insured the bank was required to get it insured, and the fact that the financer and the borrower were the registered owners and, accordingly opined that the bank was liable to pay. The review filed by the appellant bank was also dismissed. Senior Counsel, Gopal Subramanian submitted that the bank does not intend to recover anything from the claimant but the legal position should be made clear so that the bank, which is the financer, is not unnecessarily dragged into this kind of litigation. On a careful analysis of the principles stated in the several cases, it is found that there is a common thread that the person in possession of the vehicle under the hypothecation agreement has been treated as the owner. In the present case that should have been Respondent No. 2. In Purnya Kala Devi a three-Judge Bench has categorically held that the person in control and possession of the vehicle under an agreement of hypothecation should be construed as the owner and not alone the registered owner and thereafter the Court has adverted to the legislative intention, and ruled that the registered owner of the vehicle should not be held liable if the vehicle is not in his possession and control. The Court refers to Section 146 of the Motor vehicles Act that no person shall use or cause or allow any other person to use a motor vehicle in a public place without insurance as that is the mandatory statutory requirement under the 1988 Act. In the instant case, Centurion Bank (earlier appellant bank now HDFC), was the registered owner along with respondent no.2. The respondent no. 2 was in control and possession of the vehicle. He had taken the vehicle from the dealer without paying the full premium to the insurance company and thereby getting the vehicle insured. The High Court has erroneously opined that the financier had the responsibility to get the vehicle insured, if the borrower failed to insure it. The said term in the hypothecation agreement does not convey that the appellant financier had become the owner and was in control and possession of the vehicle. It was the absolute fault of the respondent no.2 to take the vehicle from the dealer without full payment of the insurance. Hence the Supreme Court allowed the appeals and held that the liability to satisfy the award is that of the owner, the respondent no. 2 herein and not that of the financier.